Hedlin Ag Enterprises has specialized in retained executive search for agribusinesses and agricultural associations throughout the United States. Why has it endured since founded by Larry Hedlin? It’s our philosophy and dedication to strive to be the best, not the biggest. Kevin is the Owner and President of Hedlin Ag Enterprises where he is responsible for conducting all aspects of senior level searches for ag companies and associations since 2001. Prior to entering the executive search business, Kevin spent thirteen years in the crop protection industry and five years in the information technology consulting industry. 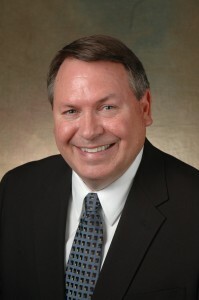 During his time with Dow Chemical and DowElanco (now DowAgroSciences) in the agricultural chemical business, Kevin held roles in sales, marketing communications, marketing program development and administration, as well as new product development in Iowa, Michigan, Indiana, and Minnesota. Prior to purchasing Hedlin Ag Enterprises, Kevin spent five years with Analysts International, a technology consulting company based in Minneapolis, Minnesota. During this time, Kevin had staff management and branch management responsibilities for the company’s office in Des Moines, Iowa. Kevin is a 1983 graduate of Iowa State University with a BS in Ag Business. In addition, he received his MBA from Drake University in 1998. Kevin has been active in the Iowa State University Alumni Association where he has served on the Board of Directors and is a past Board Chair. He is a member of Alpha Gamma Rho fraternity and is a past board member and president for the Alumni Corporation and Educational Foundation of Eta chapter of Iowa State University. He currently serves on the Board of Directors and Executive Committee for the Agribusiness Association of Iowa. A native of Holstein, Iowa where he grew up on a grain and livestock farm, Kevin resides in Ankeny, Iowa with his wife, Jeanne. Laura was born and raised on her family’s grain farm in Southern Illinois. She graduated from Truman State University with a Bachelor’s Degree in Business Administration where she also played women’s college basketball. She later graduated from The University of Iowa with a Master’s in Business Administration.Laura is passionate about the agricultural industry and the people that work in it. Prior to joining Hedlin Ag Enterprises, Laura served in various sales, marketing, communications and training roles in the seed and equipment industries. She most recently worked for DuPont Pioneer, first as the Commercial Unit Digital Sales Lead for Encirca Services and then as a Territory Sales Manager for Pioneer Seed. Prior to that she was the Director of Marketing for Balzer Inc., an equipment manufacturer in Mountain Lake, Minnesota where she was responsible for all facets of marketing and communications. Before joining Balzer, Laura held roles in sales, training management and marketing at Kinze Manufacturing based in Williamsburg, Iowa. She also served as the Media Spokesperson for the company.Laura and her husband reside in Victor, Iowa with their three daughters. "I have had the opportunity to work with Kevin on two searches. One for the Executive Director of the Agribusiness Association of Iowa, and for the CFO position for our family owned business. I am very impressed with not only the professionalism of the Hedlin Ag’s search process, but more importantly, the quality of the candidates presented. I would highly recommend Hedlin Ag for any Executive Search!" "At the beginning of the process Kevin developed a dialog with our board that far exceeded our expectations. We were kept updated on the progress during the search and received excellent preparation for the interviews. Kevin brought us excellent candidates from across the nation, making sure that all background checks had been done prior to the interviews with the Board. We highly recommend the services of Hedlin Ag and Kevin Drury." © 2019 Hedlin Ag Enterprises. All Rights Reserved.